Have you seen many beautiful pictures of delicious food that your friends are showing on social media like Facebook, QQ, WeChat and etc? Have you ever wondering how Chinese people describe people who love food. Today, we are look at a few ways you can describe your food loving friends. 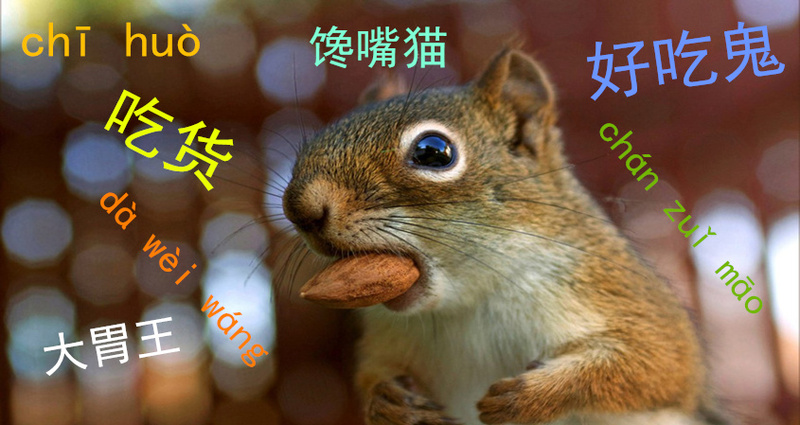 Let`s learn how to say these expressions in Chinese. Actually, you may know the word “好(hǎo)”, which means good. “好(hào)” which is fourth tone is a verb means to like. Lastly 鬼 (ɡuǐ) means ghost. So literally this phrase means “a ghost who like eating very much”. It is another way to describe a foodie, but maybe one who isn’t as vocal about their love for food. Here is an example of how it is used. I and my sister was foodie when we were younger. Literally this saying means a king of big stomach in eating competition. This phrase is used for those individuals who may have big stomach and has a big appetite. However, a person who is capable of eating a lot of food, you can also call him or her the food competition king. He had four hamburgers and two hotdogs for lunch today. He is really the king of eaters. A greedy cat is often used to describe who is really greedy for food. Since cats are known to be more selfish, it can be used to describe selfish people. Also, people who you eat with and they tend to eat most of the food without considering the people around them would fit this profile. Here is how you would use this. My younger brother is a greedy cat. He will take a taste once he sees the delicious food. These are some great expressions for those individuals who love food. If you have some Chinese friends who are big foodies, use these expressions to give your lovely friends some comments. It will bring interesting conversation and show off your Chinese knowledge. Hope this helps you in your Chinese and food adventures!